Other versions: PS3; PS2; PSP; XBOX. 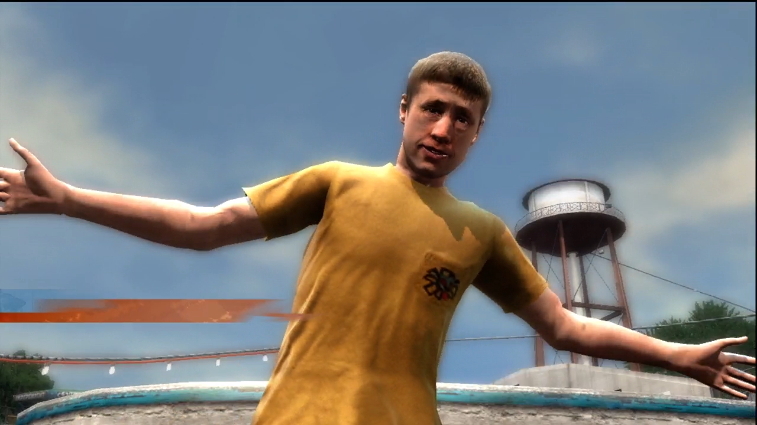 Much like the skater himself, the Tony Hawk series remained successful despite yearly instalments taking their toll, until things hit rock-bottom with Tony Hawk: Ride. 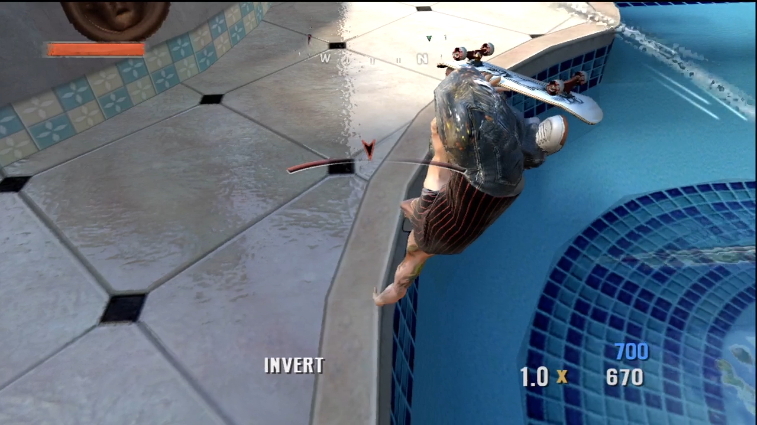 By 2006, Neversoft were on to the eighth game in the sport series. The previous three instalments kept tight skating at heart, but suffered from trying to embellish this with flat storylines which distracted from what makes the games great: the skateboarding. Project 8 attempts to resolve this by tying everything together with a less-explicit story that mostly concentrates on your skating. 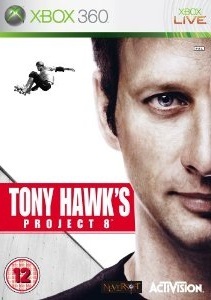 Its solid and, perhaps, the last good Tony Hawk game to have been released, but suffers from a lack of polish. Project 8 is a new initiative from the Hawkman himself. He is starting a team with eight of the best amateur skaters and it’s up to you to make the cut by reaching Rank 8. Your rank increases through discovering secret areas, performing gaps and completing goals, of which the latter will take up a majority of your time. Each goal ranks you with an Am, Pro or Sick rating depending on how you complete it. Chalk Challenges task you with reaching three spots while grinding, using manuals and so on. Special Photoshoots will challenge you with performing a trick over a gap, and each level increases the difficulty of the trick required. Lastly, competitions will pop up, usually asking you to score well in two disciplines: one which determines the challenge level and another to win the competition. These challenges are spread around the game-world, and it’s a great structure that allows newer players to skim by while encouraging long-time fans to try a goal just one more time for the Sick rank. A lot of the traits which were good about the previous few instalments remain strong here. The ability to retry a goal through the pause menu makes attempting a Sick rank much less tedious. Neversoft have also ramped up the ridiculously easy difficulty of American Wasteland, with challenges which require balancing skill as well as effort to find. The mix of goals is varied as along with the more standard goal-types mentioned above, players can partake in special Pro challenges where a handful of skaters give you goals specific to them: for example Rodney Mullen puts you through a series of Manual-focused challenges. These don’t rank you and give a nice boost to your position in the Top 100 no matter what. The worst goals are the bail-specific ones, which rely too heavily on a sporadic physics system, meaning everything boils down to luck. Project 8’s biggest weakness is its lack of polish. 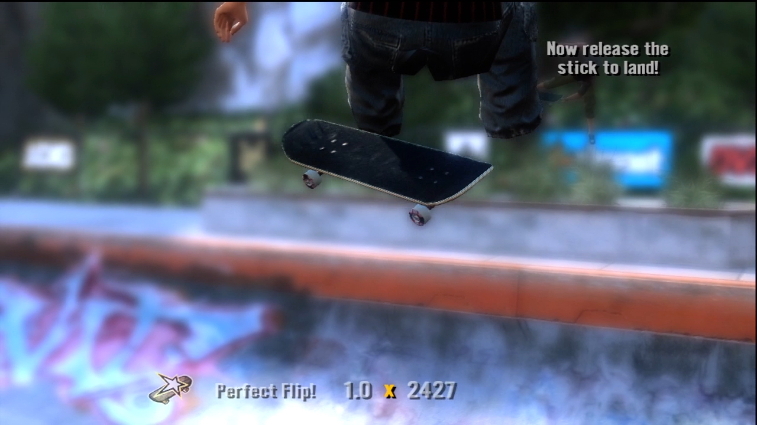 Neversoft should be praised for finally creating a huge, open skate world that lacks any kind of load times, with the only exception being if you restart a goal a significant distance away. Close to 300 gaps are spread around the world, as well as 36 collectibles, giving incentive to explore outside of finding goals. Unfortunately this comes at a cost. Simply put, P8’s frame-rate is unstable. Once you begin to move outside of Suburbia, it starts chopping up at random as you skate. It’s never consistently rough, but when things do slow down, it’s noticeable. And this is a big problem considering how much pressure is put on timing and balance, meaning frustration can occur when you bail due to this choppiness. It also feels like for every improvement, something is taken away. A new feature called Nail the Trick allows you to use both analog sticks to move the board with your feet, performing flips while in slow-mo. It’s a cool little feature, and the goals which focus on this mechanic are fun. At the same time, other features feel trimmed. Create-a-skater feels particularly thin. You can choose from five templates, as well as a selection of clothing, but you can’t buy any more clothing. You can’t remove tattoos the stock characters come with, and body size cannot be adjusted, meaning customising your skater feels completely pointless. Create-a-park is also gone; instead some goals allow you to insert and adjust object placement to complete the goal. You can also edit outside of this goal, but only in locations marked with a hammer, making it feel lightweight. If you can bear all that, the skating still remains fun. And P8 certainly isn’t short on content. It will take you a few hours to reach Rank 8, but even getting to Rank 4 took me 25 hours. Classic Goals, in particular, are challenging to earn a Sick ranking on, requiring you to complete all 10 goals in a two minute time frame. Project 8 also comes stocked with a multiplayer mode (which is absent from the PS3 version for some reason), and that adds fun. Players can explore the entirety of the single-player map or confine themselves to individual areas. From there, you can either free-roam and jam or begin creating matches if you’re host, which range from score and combo-based challenges to graffiti where you tag objects by performing a combo on them. Matches are fun and frantic, while free-roam allows for more relaxed skating, and either way it's good fun. Being the first game built from the ground up for seventh-gen consoles, Project 8 marks a significant step-forward visually. Animations have all been revamped, ragdoll physics have been added and the level of detail even in pedestrian characters feels improved. That being said, P8 can look a little odd at times, particularly with Pro Skaters who look more like weird dolls. The audio is solid, particularly the varied soundtrack. You’re bound to find something catchy as the soundtrack spans Primus, Bad Religion and Gnarls Barkley, and most songs feel well-suited to the skating. The voice work is competent, but the dialogue feels a little clunky at times, while the recycled sound effects do their job but nothing more. Project 8 feels like a step in the right direction, but the execution isn’t quite strong enough to put it up there with the Pro Skater series. The reduced focus on story and increased emphasis on skating is definitely good, even if the bail-focused goals dampen the fun. The skating remains solid, but a lack of polish drags the game down. The unstable frame-rate would be acceptable anywhere else, but in a game which requires such precision and consequently affects gameplay, it’s not good. And it feels like a game of give-and-take: the Nail a Trick feature is cool, but the reduced Create-a-Skater and lack of a Create-a-Park mode is not. Those who can look past the blemishes and problems will find a lengthy, challenging skater.